Chicagoland Tree Trimming - Call Our Arborists Today | J&S Tree Service, Inc. If you really love your trees, you would do anything ensure their health and a life-long beauty, right? But beauty takes time, and there are so many things you have to do to ensure your trees look great year-round. 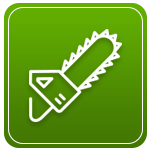 By working with your local, friendly professionals at J & S Tree Service, Inc., we make managing your trees easy. Saving you the hassle and countless hours spent in the yard, our tree trimming services are designed to give your back a break, as we take care of everything for you. Good tree trimming does more than make your trees look beautiful, it actively restores their health and vitality. Removing dead and broken branches, trimming or pruning allows for new growth, making your trees stronger and full. Knowing what branches to get rid of and what to look for, we treat your pruning like a work of art, mastering the techniques to leave you with a masterpiece. Using industry-leading techniques and highly advanced equipment, you can rest assured that we put safety and superior results above all else. Whether working with just one tree or a few, our goal is to provide you with a level of service found nowhere else. Treating your property as our own, we respect your needs and believe in exceeding your expectations. To schedule your tree trimming appointment with the industry’s best, get in touch with one of our expert arborists today. We look forward making your trees flourish. Call today and a member of our team will contact you. The tree trimmer that comes to your house will provide you with full guidance and leave it as an open conversation so that you can get exactly what you’re looking for. As you may already know, keeping up with the demands of a large landscape can be a challenge. Unless you’re a professional arborist with years of experience, maintaining the health of your trees requires a bit of work. At J&S Tree Service, Inc., we’re proud to provide Chicagoland residents and commercial property owners with some of the best tree trimming services in the area. From tree removal to stump removal and storm damage, we can help ensure the trees on your property don’t pose a threat to the safety of your family, as well as the surrounding landscape. If you’re interested in learning more about our tree removal services, contact our friendly team today. 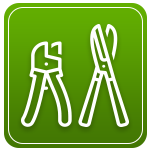 Fine Pruning – also known as the removal of small tree limbs, fine pruning can improve the appearance of your trees. Standard Pruning – this kind of pruning requires a bit more heavy cutting and is often recommended to enhance a tree’s branch structure. Hazard Trimming – hazard trimming may be recommended if a tree poses safety concerns. This usually involves the removal of branches that are two inches or more in diameter. Crown Reduction Trimming – this type of tree trimming service often involves the removal of major branches. This usually occurs when a tree has suffered from storm damage or when branches are interfering with things like power lines. 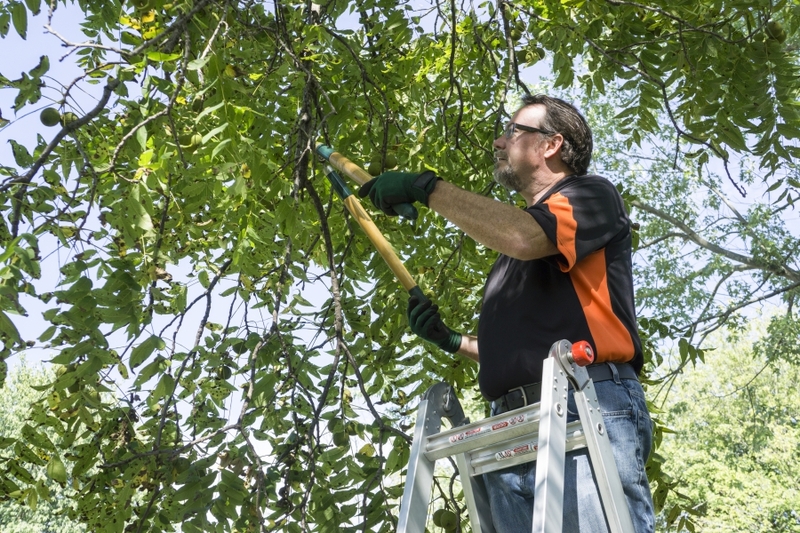 While you may think that you can trim the branches of your trees on your own, we highly recommend hiring a professional. At J&S Tree Service, Inc., we’re proud to be a Top Rated Local® tree trimming company in Chicago that is bonded, licensed, and fully insured. If you feel that the trees on your property could use some attention or you’re concerned about the health of your trees, reach out to our team today. When you hire a tree trimming company to trim your trees, you’re actually increasing their lifespan as well. Tree trimming can come in handy when there are damaged or diseased branches. 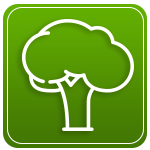 If left untreated, the entire tree can become infected and may need to be removed. To avoid a costly tree removal service, consider investing in routine tree trimming service. Tree trimming can also increase the amount of sun exposure and air circulation your trees receive. This will ultimately improve your tree’s health. If the trees on your property are overgrown and unkept, it can have a negative effect on your home or business’s aesthetic appeal. By hiring a professional tree trimming service, you can improve the look of your trees by removing dead and weak branches. 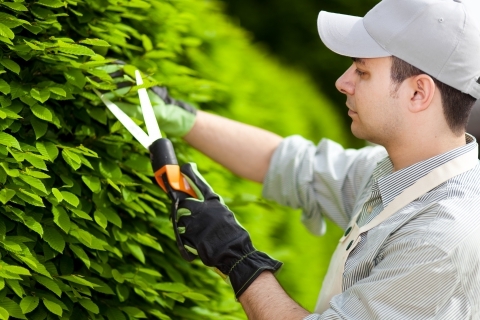 Did you know that having your trees regularly trimmed can actually save you money in the long run? As we mentioned above, when you neglect to trim your trees, it can result in sickly, damaged, or broken branches and tree limbs. This can lead to property damage, such as a tree branch falling on your home’s roof or vehicle. If you live in the Chicagoland area and you’re concerned about the health of your trees, contact the experts at J&S Tree Service, Inc. today. We specialize in tree trimming for residential and commercial properties, and we can handle all of your tree care needs.